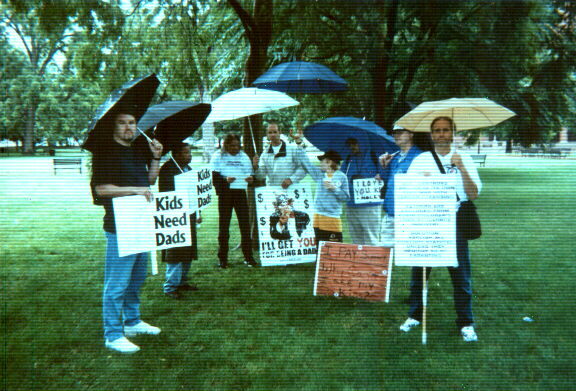 FATHERS DAY 2000: Fathers Go To Washington! Here is Dennis Austin with Greg Romeo (very back) in Lafayette Park who is saying a prayer written by the Rev. 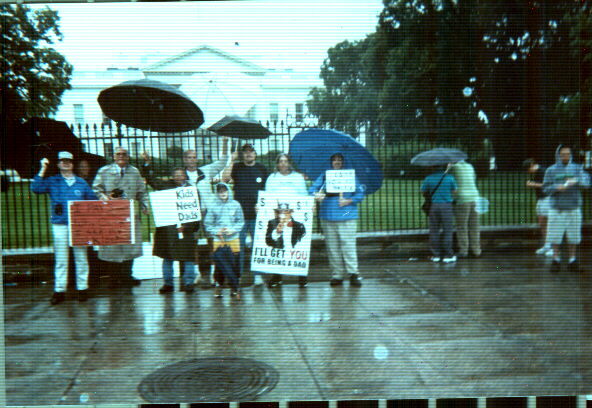 Then they walked to the Capitol in the rain.